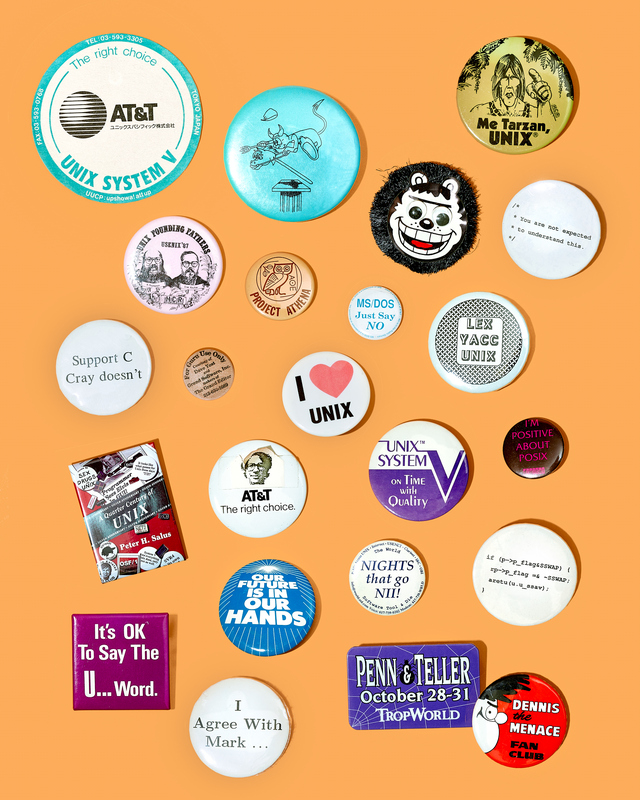 Various pins and buttons mostly collected at UNIX related conferences during the 1980’s. Pins, buttons, and name badges collected at UNIX events held all over the world, found their way back to the UNIX room at Bell Labs in Murray Hill. Many of the pins reference inside jokes or memes popular at the time.